Hurry, Get the E-Book Today for Less Than a Dollar! I want to help you achieve it in 2015! In addition, I want to “gift” you with the action cards, mediation audio, companion workbook, and other items below. BONUS #2: Companion Workbook – to follow the action items included in the book. This book includes all the action cards mentioned in the book as well. 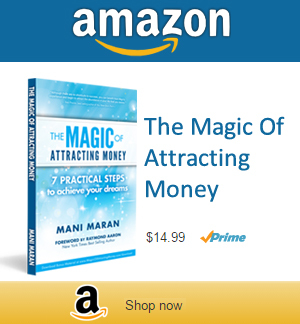 But you must order the Magic of Attracting Money book in the next 24 hours! After that, these bonus gifts will expire.